Decided to sneak this in there before the end of the year! Player vs. 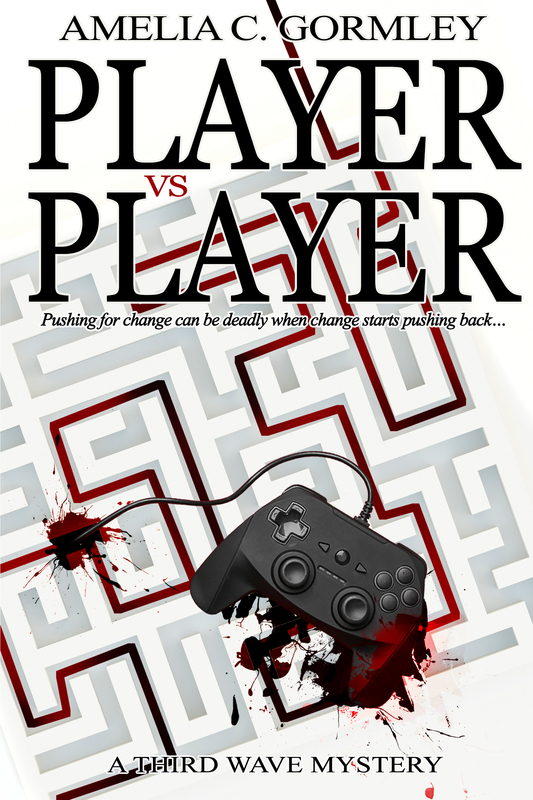 Player is now available, in both digital and print forms! As with all my recent re-releases, this title is only available at Amazon, so that readers can take advantage of having it in their Kindle Unlimited library. However, for anyone who reads on another platform, I offer you a workaround. If you purchase the book at Amazon, send me a link to an image of your receipt/purchase confirmation (use the contact form on my About page) and I will send you an .epub or even a .pdf if you would prefer to have the book in that form. Niles River has his dream job, writing for a socially-conscious video game studio, and working with his best friend and his twin brother. Sure, he has to deal with incessant harassment from trolls and even protesters who take issue with his ethnicity, his sexuality, and his politically progressive storytelling, but the chance to make a difference in the world through his art makes it worth it. Until threatening notes begin arriving, hand-delivered, on Niles’s doorstep, and two cosplayers dressed as characters from Third Wave Studio’s latest game are murdered. Their deaths echo plot developments from unreleased content no one except people who work at the studio could know, and Niles is one of the last people to have spoken with the young women. Now his formerly-closeted ex is investigating the crimes, armed security guards are patrolling the studio, and the death toll is mounting—and getting closer to home. If they don’t solve the murders soon, it could be Game Over for Niles. 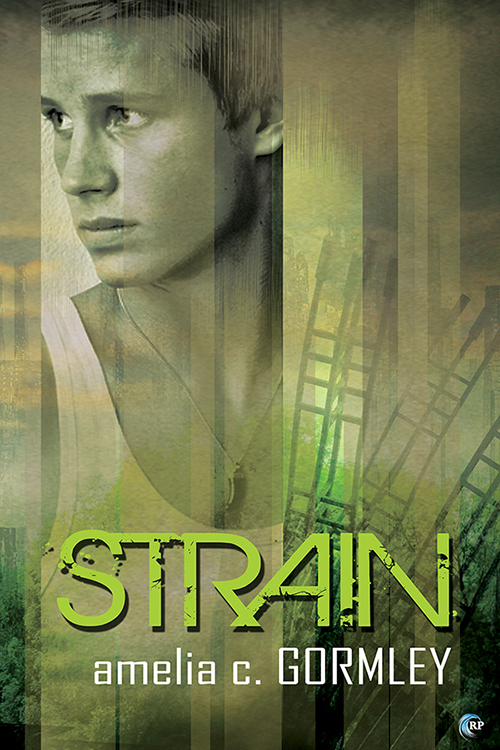 In other news, an omnibus version of the Strain trilogy is now available everywhere. 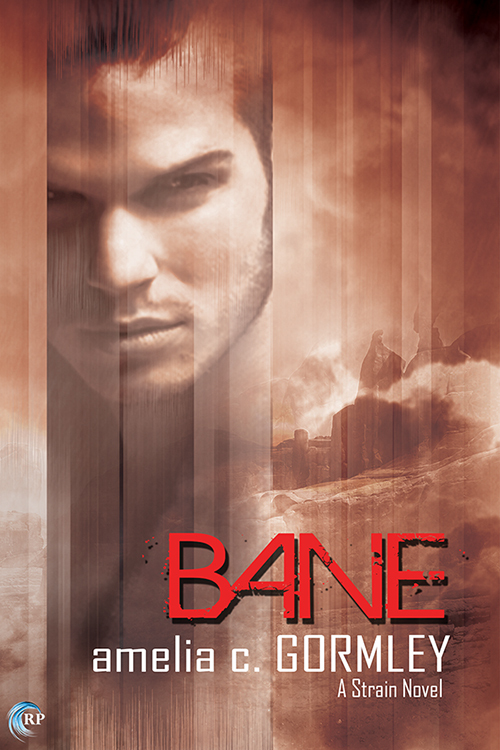 I don’t think it’s up on Itunes or Kobo yet, but I’m working on it. They just take a little longer to process. It’s definitely available at Amazon, Barnes & Noble, and Smashwords, however, and offers all three books at a significant discount to buying them separately! Paperback versions of Risk Aware and Saugatuck Summer are also now available, though it’s a bit late to offer them as stocking stuffers! Still, if you’ve got those bookstore gift cards and love print, there are options! And finally! I’m offering some end-of-year specials at Amazon! Strain is currently available FOR FREE, and as of tomorrow, Risk Aware will be available for $0.99. So get those while you can and have a Happy New Year! 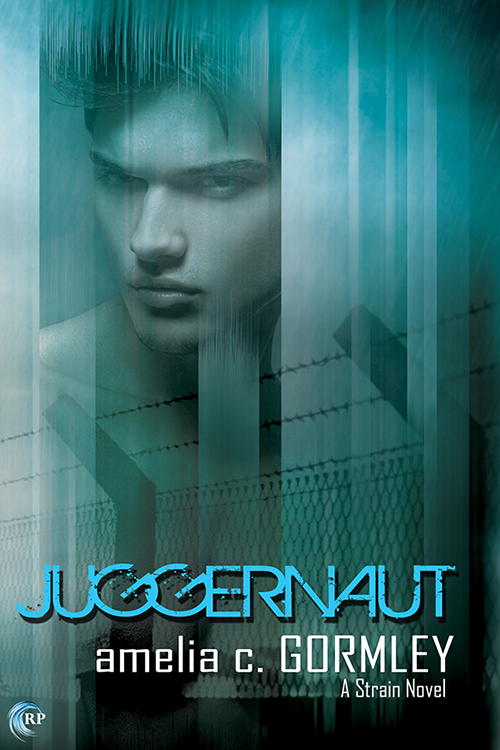 Juggernaut is free at Amazon this week! 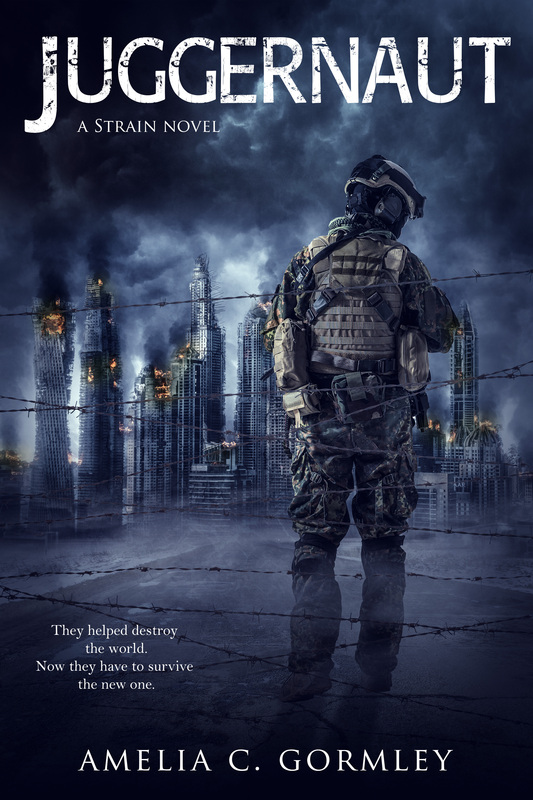 From today until Thursday, May 3, Juggernaut, the first book of the Strain series, is free on Amazon! Be sure to grab it while you have the chance! 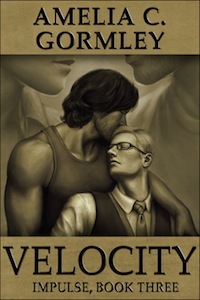 Another Honorable Mention from the Rainbow Awards, for Velocity! Today, the second of five announcements regarding who rated an honorable mention in the Rainbow Awards was released, and Velocity was on the list. The quotes from the judges regarding the books have been very rewarding as well. 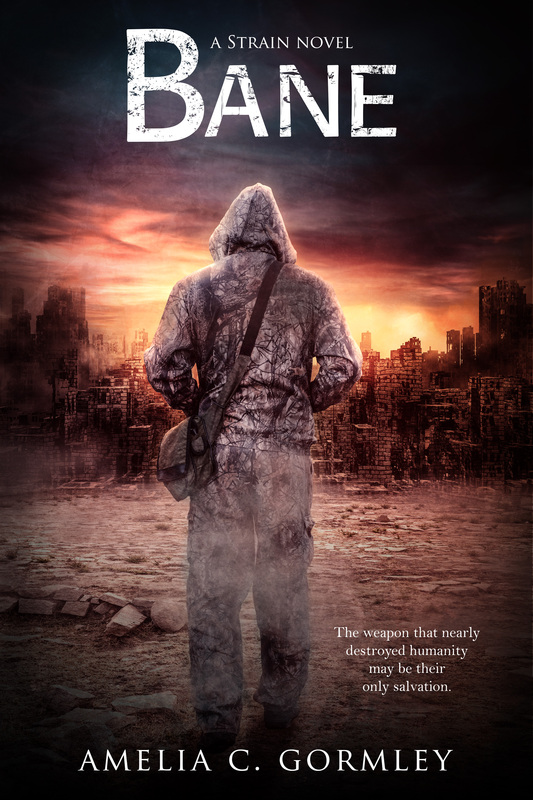 April: The main character definitely kept me reading. I found myself liking him right from the start. He had character traits that were identifiable within all of us. The writing style also kept me reading, wanting more of the story. The author did a great job with the plot flow. Christina: Beautiful story, I had feeling of being let into the lives of two men that I came to adore. I finished this story in just hours, so drawn into their romance, the struggles they overcame, and their everyday lives. I was glad to see them get their happy ending and embrace their love and commitment to one another. For a little self-published trilogy from an author no one had heard of just over a year ago, I figure this is a great showing, whether or not the books become finalists in their category. 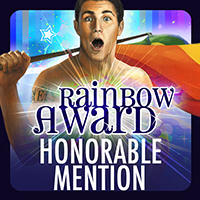 Acceleration scores an Honorable Mention in the Rainbow Awards! you have to wait the actual announcement on October 1 to know that. Acceleration was one of the first batch mentioned. So at the risk of tooting my own horn, congrats to me! No word on whether or not Velocity, which was also in this year’s awards, might also have won anything. I guess we’ll know over the next five days. Rainbow eBooks is having a Christmas in July sale (I presume today and tomorrow?) You receive 20% off throughout the store. All of my titles, including my all-in-one volume of Impulse: The Complete Trilogy, are on sale. Rainbow Awards Cover Contest: Vote for The Laird’s Forbidden Lover! 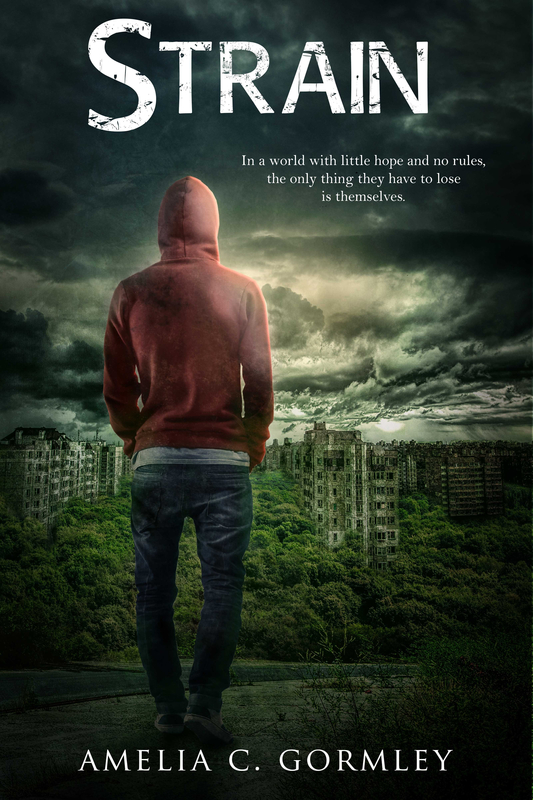 For the next couple weeks, the Rainbow Awards cover contest is voting on books released in May, which means The Laird’s Forbidden Lover is up. Stop by and browse the beautiful covers and vote! Today Rainbow Ebooks is having their Totally Tuesday sale and offering 15% off new releases, which this week includes The Laird’s Forbidden Lover. Get it while the getting is good! Vote for Inertia in the Rainbow Awards cover contest! Because the print version of Inertia was released in November of 2012, it’s in this year’s round of voting for the cover contest instead of last year’s, which is where the book itself was entered. At any rate, voting for the covers released in November is going on now, so let’s give the brilliant Kerry Chin’s artwork some recognition! Rainbow Ebooks is having an Easter sale this weekend, 30% off throughout the store, including Inertia, Acceleration and Velocity. Get ’em cheap! 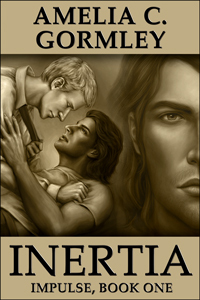 15% off Inertia and Acceleration at Rainbow Ebooks today! 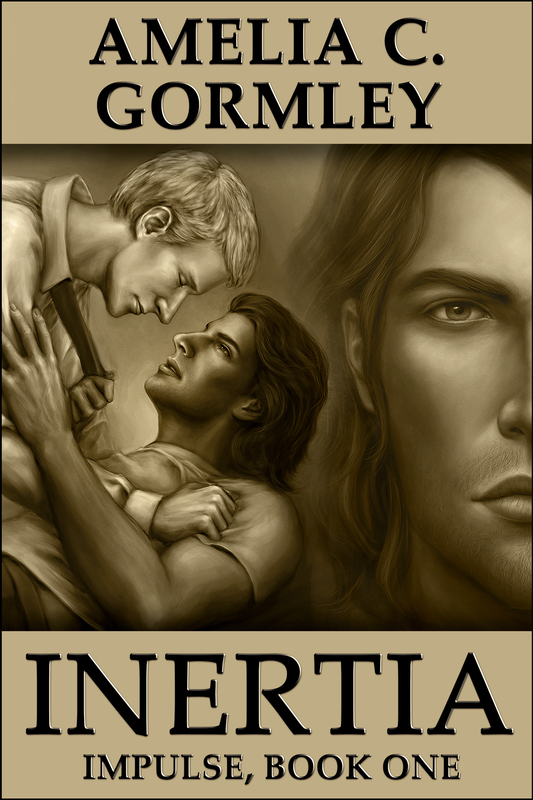 Inertia and Acceleration are both 15% off today at Rainbow Ebooks! Get them while the getting is good!